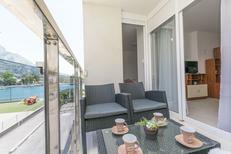 Pool villa for up to six people on the island of Korčula. ​Dalmatia | Holiday homes with a pool offer you the best way of revitalising yourself. With one jump, you can cool off from the summer sun, swim, splash around and enjoy. View from a luxurious pool villa for up to 10 people directly located on the beach of Drašnice. ​Makarska Riviera | Dalmatia’s coast is one of the most beautiful parts of the Mediterranean. You have a direct view of the water from these holiday homes and apartments on the gorgeous Makarska Riviera. 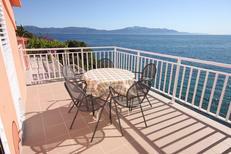 Modern holiday apartment for four people in Brsečine at a private beach with a panoramic sea view from the terrace. Dalmatia | Would you like to know which holiday home or apartment is particularly worth spending a holiday in? 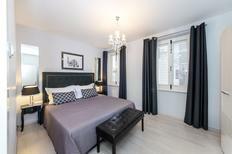 Here we'll show you the accommodation in Dalmatia, which has received the best reviews from our customers. ​Dubrovnik | With its old quarter, the harbour, and the historic town wall, Dubrovnik is, without doubt, one of the most beautiful cities in Europe – and also the best holiday resort in Croatia. Lighthouse on the little island of Palagruža, far out in the Adriatic. ​​Croatia | Yes, you really can live here! Let your gaze sweep over the sea, keep a lookout for ships and feel like a real lighthouse keeper. Secluded holiday home on the island of Lošinj. ​Croatian coast | No neighbours for far and wide - you will spend your holidays here like Robinson Crusoe. These holiday homes are secluded in the countryside and are also usually furnished in a very simple way. Living room of a stone house for six people that is located directly by the sea. ​Istria | Quaintly-old, freshly-renovated houses of natural stone on Croatia’s sunny peninsula not only provide a way to cool off from the summer heat, but lend your holiday a very special ambience. The bar in a particularly well-equipped holiday villa for up to ten people in Pula. Croatia | The classic swimming pool isn’t, however, at the forefront here! Rather, a pool table is standard at these holiday homes. A holiday house in Dalmatia costs on average USD 521 in the cheap travel period and USD 1,015 in the peak season per week. These details are of course in relation to the house and not per person as well as includes the obligatory additional charges. Dalmatia which stretches from Starigrad-Paklenica down to the southern point of Croatia is one of the most varied regions along the Adriatic Sea. Some of the conspicuous features of Dalmatia include pretty small towns influenced by Venetian elements, fjord like bays which are partly dominated by distinctive mountain ranges, small islands and crystal clear water. Spend a vacation at Europe’s sun balcony at the Mediterranean Sea – Dalmatia provides for good weather, thousands kilometres of coast along the Adriatic Sea, countless cultural treasures and a vast choice of holiday accommodations. 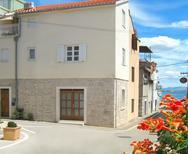 Most holiday apartments and houses in Dalmatia are situated at the sea or close to the coast. The diversity is quite impressive: Luxury villas are available with pool and sea view, exclusive houses in classic Dalmatian style, holiday apartments on beautiful islands and apartments in picturesque harbour setting. Holiday apartments and houses in Dalmatia will not only satisfy you in respect to comfort and location but also offer the space that one needs for a vacation whether for two people, an entire family or larger group. Dalmatia is the most southern part of Croatia. This delightful holiday region extends from Zadar in the north to Dubrovnik in the south. Between them lies a dramatic coastal landscape shaped by bays, cliffs and dream beaches with an array of hundreds of islands situated in front of it. Since the collapse of Yugoslavia this coast has been subject to modernisation and reconstruction in order to preserve the historical heritage of the antique period and other past eras creating a touristic offer which rivals those of other Mediterranean countries. Islands such as Hvar and Korcula, towns such as Zadar and Split have for many years been popular tourist destinations. Amongst other things holiday apartments and houses are so attractive and diverse in Dalmatia. Split is the largest as well as oldest town in Dalmatia and very much worth exploring on a day trip. Start your walk at the late antiquity Diocletian Palace and then stroll through the historical centre as well as along the promenades. Or alternatively go up to the Marjan Hill from where you are treated to a lovely view. Would you like a bit more culture? Then visit one of the large museums in the town. At the Makarska-Riviera south of Split many enticing beaches promise total relaxation. The impressive backdrop of the Biokovo Mountains makes this region a unique coastal strip as well as nature spectacle. In the south of Dalmatia you will find the Konavle Valley also known as “Dubrovnik’s Garden”. Here figs, olives, cypresses and vegetables flourish. Equally wine growing has a significant role to play in this extensive valley. In this fertile landscape lovely walks can be enjoyed whilst enjoying the peaceful setting. The most Dalmatia visitors travel to the region by plane. From countless airports there are flights to Croatia. Generally most flights operate to Zagreb and the Dalmatian towns of Zadar, Split, Brac and Dubrovnik. There are also charter flights that go directly to Dalmatia. An alternative one can consider is going by car. Even though the journey by plane is far more comfortable and faster it can be quite convenient for a those renting a holiday tome in Dalmatia to have their own car with them – for trips in the magnificent region, for getting to the beach or going shopping at a market in the next town.